And here is the one done by CBS' 60 mins..... to see the segment.. forward to 14:10. In The News: Here comes the talk on the Assault Weapons Ban again..
Show Topic: The Gub'ment wants you to know how to shoot a rifle???? WHAT??? Don't forget the Contest.. What is that image????? What does it mean to us? In The News: Zero Tolerance... I say Zero Sense! PLEASE WATCH THIS... AND TAKE HEED!!! In The News: Prez Elect Obama says "Don't go out and buy all those guns." 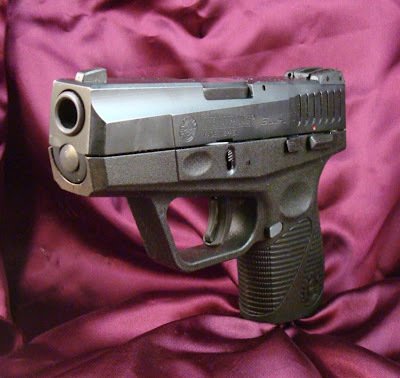 Gun Tech: Average Joe talks about a platform on my favorite caliber.... .45 ACP.. FINALLY!! LIVE SHOW NEXT EPISODE!!!! CHECK BACK HERE FOR INSTRUCTIONS ON HOW TO LISTEN AND HOW TO CALL IN!!!! LIVE BABY!!!!!! CONTEST FOR LIVE SHOW!!!! WHAT IS THE TITLE IMAGE ABOVE? WHAT DOES IT MEAN TO US AS GUN CULTURE?? THINK ABOUT IT THEN CALL IN FOR THE LIVE EPISODE TO WIN THE GOULD AND GOODRICH HOLSTER!!!! !